Last year I shared Mango Kalakand which was loved by you guys, this time I thought to share another Kalakand recipe. As Chocolate is not only loved by kids but also by adult then why not add this tasty chocolate in our Mithais. In today's post we are making Chocolate Kalakand. 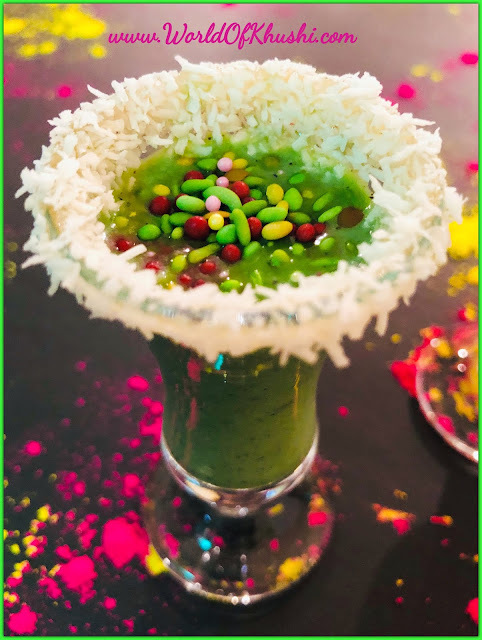 This recipe is not very time consuming and perfect for Festive Season. Let's see what Ingredients we need to make this!!! Step 1. In a wide Pan; add Paneer, Milkmaid and Cocoa Powder. Step 2. Cook this on medium heat for 10 minutes, keep stirring. Step 3. Add Cardamom Powder and chopped dry-fruits to the mixture and cook it on low flame for 5-8 more minutes. Note :- We want to cook around 15-18 minutes total till the mixture gets thick. Also keep stirring the mixture. Step 4. Once the mixture get thick, remove it from the flame. Step 5. Grease your Barfi Plate with Ghee and spread the mixture. Step 6. After the mixture is completely cooled down, cut it into square pieces. Step 7. Garnish the top with Pistachios. Your delicious Chocolate Kalakand is ready. 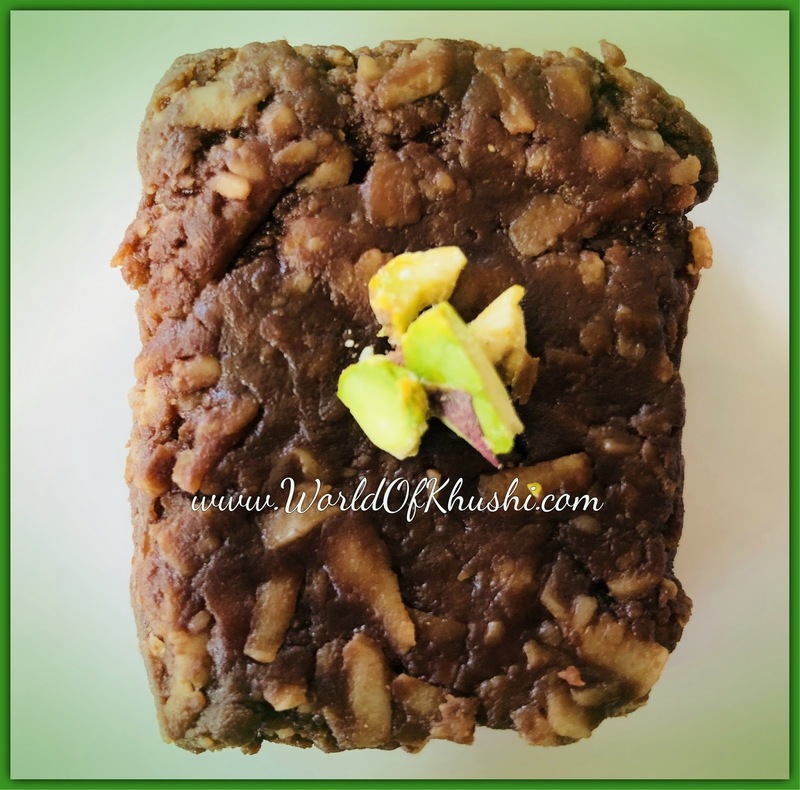 I hope you and your family will enjoy this Chocolate Kalakand. Do try and share your feedback with us. Also let us know which is your favorite Mithai?? For more such easy Recipes stay tuned with Khushi's World. Please share some love and support by liking and sharing our Posts! !